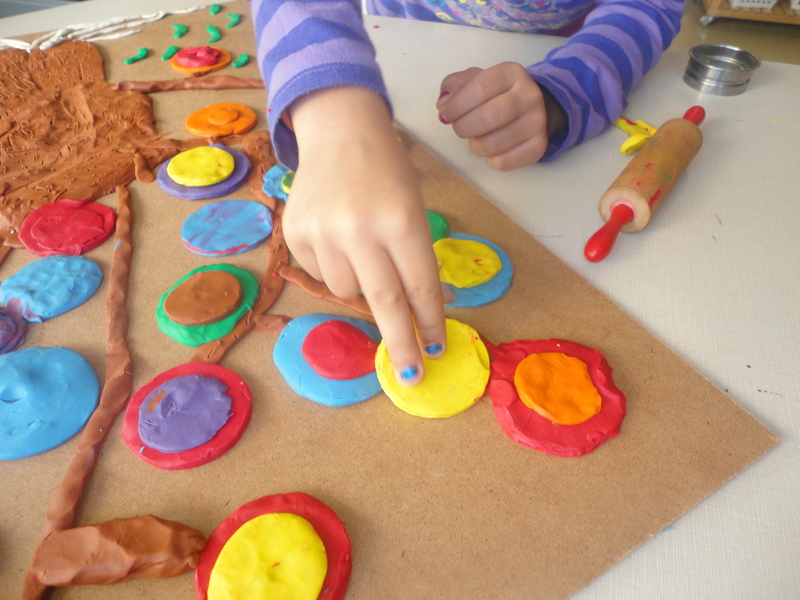 We made art at the Art Studio – something we’ve never made before! 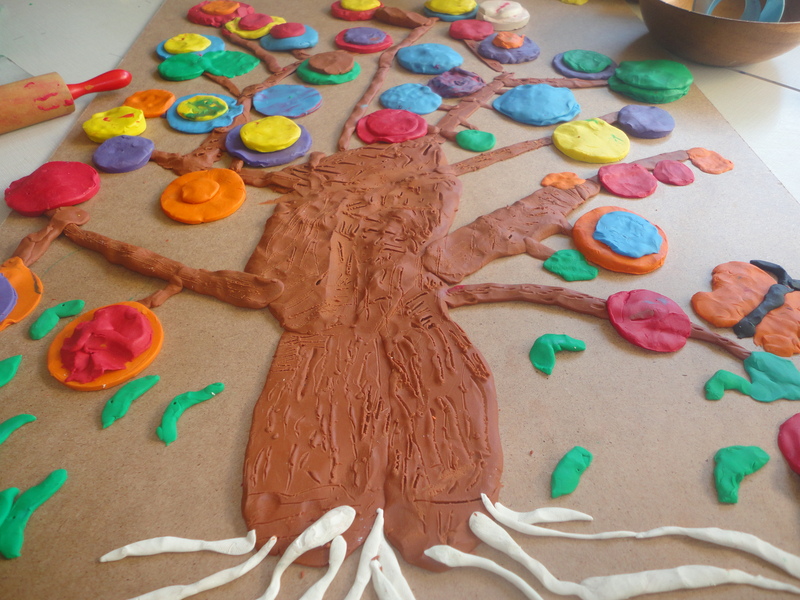 We used Plasticine. 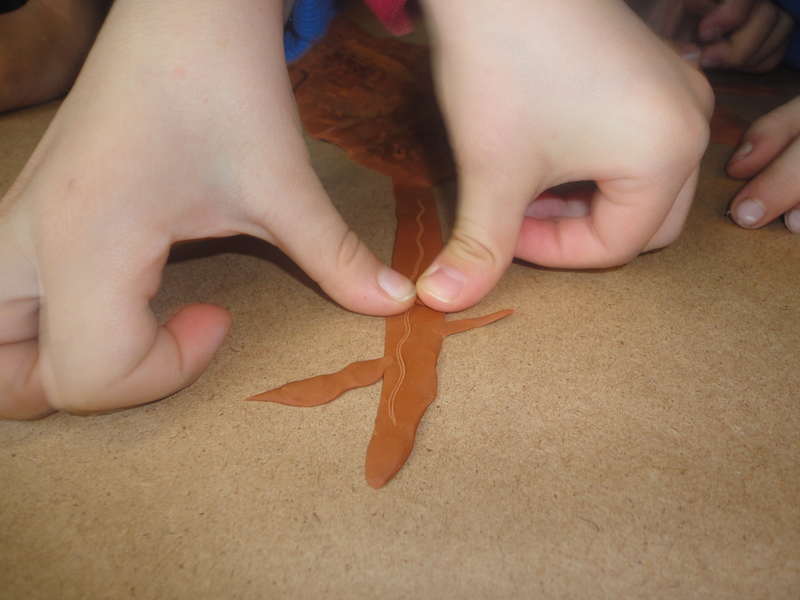 Plasticine is like Playdough except it is hard. 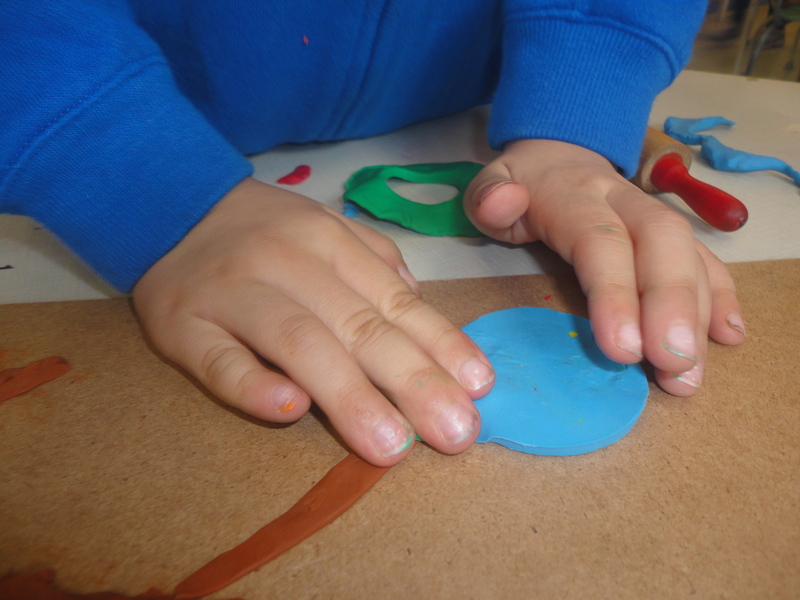 We had to rub the Plasticine with our hands to warm it up. Some of us blew hot air on it or put it on the heater to make it soft. We made a tree trunk and tree branches. Then, we each made a leaf in the shape of a dot. Some of us put our leaves on top of other leaves. We used all the colours of the rainbow (and the colours of fall). Some of us mixed up the colours to make swirls of colour. Our Kindergarten helpers helped us add grass and a butterfly and a flower to our work. Our work makes us happy because it’s so big! We are surprised that we made something that we’ve never made before and it turned out so nice. We are proud that we made such nice art. Some of us are sad that we are finished because we wanted to keep doing more! 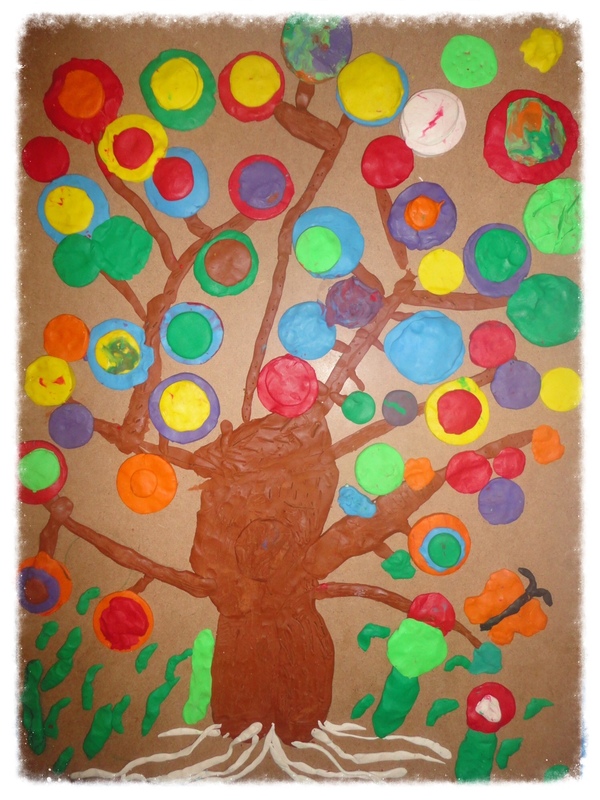 This entry was posted in Art Studio and tagged art studio, Collaborative Art Piece, dot project, kindergarten art project, plasticine, Reggio inspired kindergarten, tree study by msmcdonell. Bookmark the permalink.